Sometimes you feel like you've seen every Etsy shop imaginable, and then you unearth a gem that's so cute and unique you can't wait to share your find. Cleo & Poppy is THAT Etsy shop. This adorable shop is packed to the brim with the softest, cutest goodies for babies and tots. From messenger bags to plush animals to crowns and more, we love this shop, but most of all we adore the huge collection of soft dolls they design. See a sampling of the amazing Cleo & Poppy doll collection below. Cleo & Poppy dolls are all one-of-a-kind designs, handmade in a smoke-free home with the goal of being, “simple and sweet, fall-in-love-with” designs for kids. Simple and sweet doesn’t mean boring though. 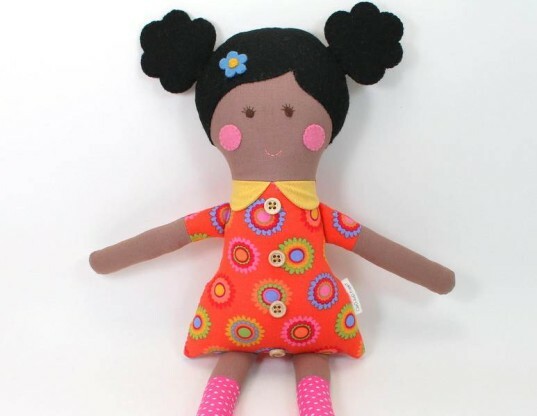 Each doll sold at Cleo & Poppy is beautiful, and makes a unique and personalized gift for any child. 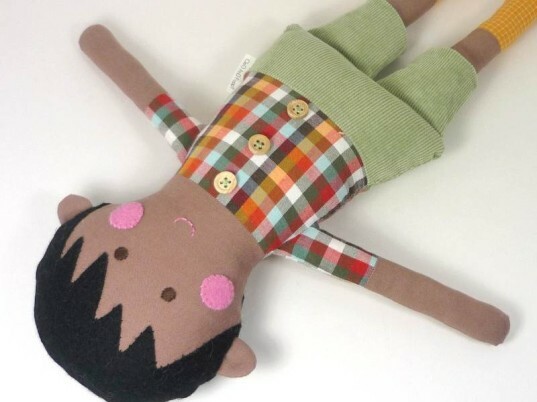 Cleo & Poppy uses eco-friendly materials for all their dolls, including a lot of repurposed and upcycled materials, 100% wool felt, cotton fabric, organic cotton and wool stuffing. Dolls are safely and securely weighted down with a glass bead insert for a more life-like feel. All dolls are carefully, doubly secured and sewn making them safe for little grabbing hands for years to come. 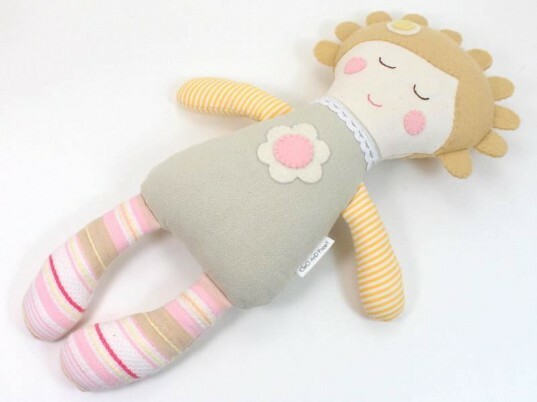 While all Cleo & Poppy dolls are made with safety in mind, some of the dolls are made with buttons that aren’t safe for very young tots or babies. If you want to buy your baby a Cleo & Poppy doll, you can request soft wool felt button decorations instead or real buttons or choose from the baby doll collection, all of which are 100% safe for babies ages 0+. If you’ve been looking for the PERFECT doll to represent your child’s unique looks, style or tastes and are having trouble, you’ll surely find a doll at Cleo & Poppy. This shop has one of the largest varied doll collections we’ve ever seen. From boy dolls to girl dolls to ethnic dolls to fantasy dolls with rainbow hair to stunningly lovely mermaid dolls, you cannot beat the doll choices at this shop. Plus, Cleo & Poppy will customize any doll’s skin, hair and clothing to make it perfect for your specific child. While Cleo & Poppy dolls blow us away, we’re also enchanted with the sweet organic messenger bags, beautiful dress up crowns and cute plump stuffed animals offered in this shop. Be sure to check out all of Cleo & Poppy’s goods when shopping for a doll. All Cleo & Poppy dolls are handmade to order, with unique and special details that you get to choose. 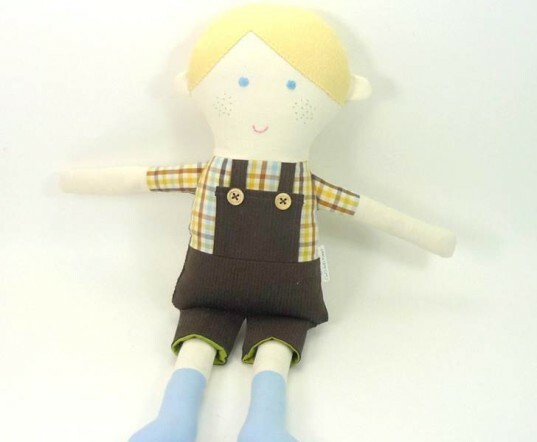 Dolls run around $38 to $58, which is very reasonable considering the one-of-a-kind quality, safety and eco-materials. You can order a doll as is at Cleo & Poppy or request a special order. 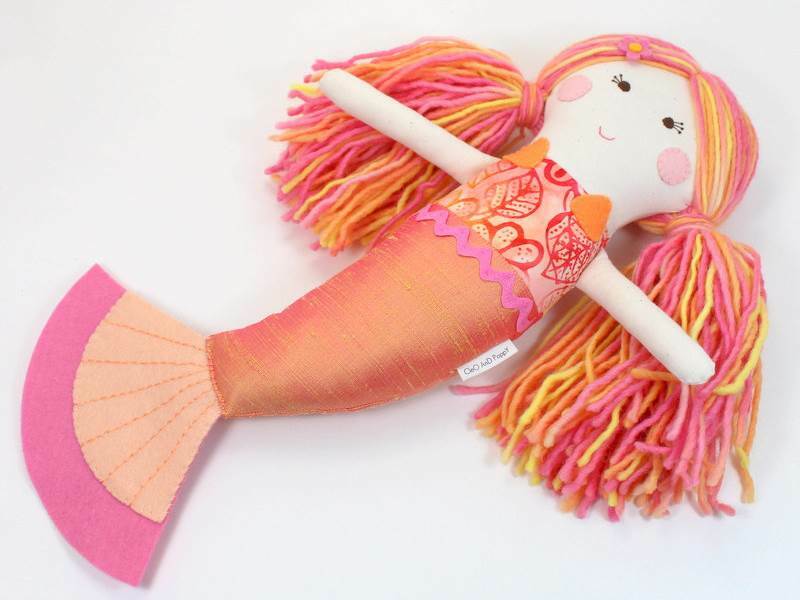 Cleo & Poppy dolls are all one-of-a-kind designs, handmade in a smoke-free home with the goal of being, "simple and sweet, fall-in-love-with" designs for kids. Simple and sweet doesn't mean boring though. 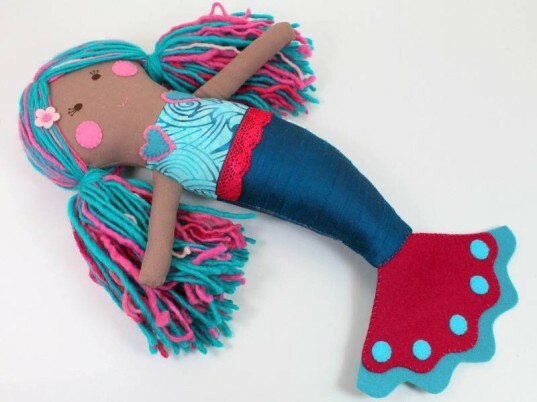 Each doll sold at Cleo & Poppy is beautiful, and makes a unique and personalized gift for any child. All dolls are carefully, doubly secured and sewn making them safe for little grabbing hands for years to come. While all Cleo & Poppy dolls are made with safety in mind, some of the dolls are made with buttons that aren't safe for very young tots or babies. If you want to buy your baby a Cleo & Poppy doll, you can request soft wool felt button decoration instead or real buttons or choose from the baby doll collection, all of which are 100% safe for babies ages 0+. If you've been looking for the PERFECT doll to represent your child's unique looks, style or tastes and are having trouble, you'll surely find a doll at Cleo & Poppy. This shop has one of the largest varied doll collections we've ever seen. From boy dolls to girl dolls to ethnic dolls to fantasy dolls with rainbow hair to stunningly lovely mermaid dolls, you cannot beat the doll choices at this shop. Plus, Cleo & Poppy will customize any doll's skin, hair and clothing to make it perfect for your specific child. While Cleo & Poppy dolls blow us away, we're also enchanted with the sweet organic messenger bags, beautiful dress up crowns and cute plump stuffed animals offered in this shop. Be sure to check out all of Cleo & Poppy's goods when shopping for a doll.